It’s 2009 and most of us appreciate the power of the community. It has been what has driven the ascendancy of free and open source software. It is what helped propel our current President to the White House. 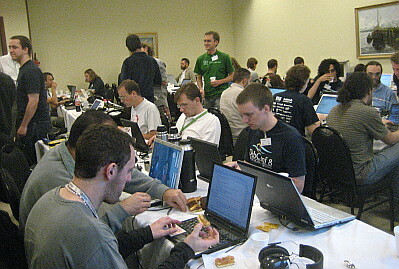 Hackers working on Debian GNU/Linux, an entirely community built distro. (Source: My pic from Debconf8 in Argentina). So the power of community is now recognized in the development of open source software as well as in the marketing of a presidential candidate. What about in the marketing of open source software? Various software communities do look to members to help with many aspects of marketing, just ask Jono Bacon community leader for Ubuntu Linux or Zonker Brockmeier of OpenSUSE. What I haven’t seen however is an actual marketing guide developed with and for the community. That is until yesterday (there must be another community that has such a guide, I just cant think of any). Back in November, my former Sun compadre, Patrick Finch now of Mozilla posted a blog entry imaginatively entitled, Wanted: A Guide To Community Marketing At Mozilla that discussed “the need to help the community do as much of its own marketing as possible.” Yesterday Patrick blogged the arrival of the Mozilla Community Marketing Guide. The guide’s brief intro explains “We hope the guide helps Mozillians identify activities they wish to undertake and point them to the resources that are already available to the community.” Those resources are then categorized into 14 topics such as, Public Speaking , Blogging, Tagging and Social Networking, Promoting the Mozilla Mission and Guerrilla Marketing Activities. 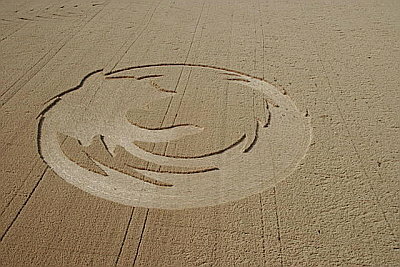 It also has a section that talks about what is community marketing and show cases some of Mozilla’s most famous grass roots campaigns like the Firefox crop circle and the New York Times ad. The guide like many resources for the community, and following the Web 2.0 tenant of the “eternal beta,” is positioned as work in a progress that will be added to and updated. I think this is guide is a great idea to help the community help Mozilla. One of the the greatest value I see in this is, by show casing the efforts of community members it helps to give others ideas and motivate them. I will be very interested to see how this grows and is used going forward. Although the power of the community is now recognized it is fascinating to see the tools and tactics that are being developed to further support its members and harness their energy. This is a space is one to keep an eye on and watch develop as it becomes more and more mainstream. This entry was posted on Thursday, February 26th, 2009 at 2:35 pm and is filed under Uncategorized. You can follow any responses to this entry through the RSS 2.0 feed. You can leave a response, or trackback from your own site. It’s quite a howto guide of how to better manage an community.